Between November 30 – December 11, the 21st session of the Conference of Parties (COP21) to the UNFCCC will be held in Paris. A new climate protocol to succeed the Kyoto Protocol is to be reached by world governments. 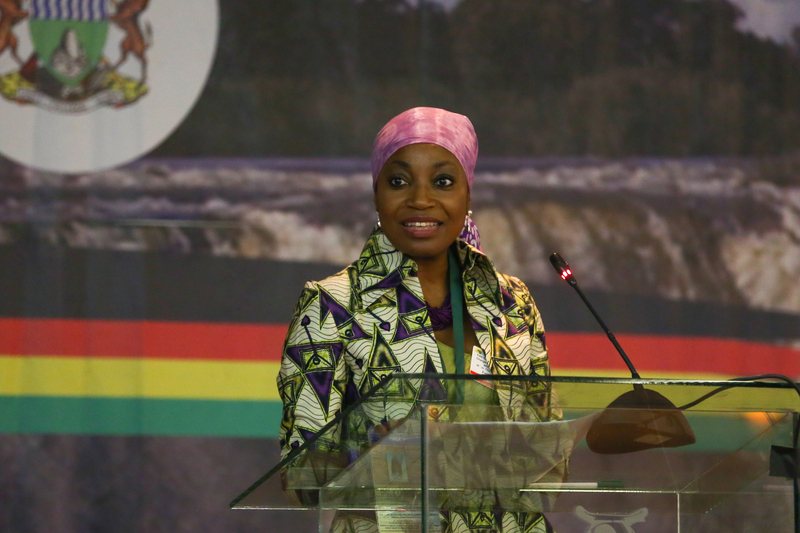 African governments, negotiators, civil society met in Victoria Falls Zimbabwe between 27-30 October at the 5th annual Conference on Climate Change and Development in Africa (CCDA-V) to work on various positions ahead of the Paris talks. The CCDA is hosted the UN Economic Commission for Africa (UNECA), African union Commission (AUC) and AfDB and this year was under the theme “Africa, Climate Change and Sustainable development: What is at stake at Paris and beyond?”. There was a charge that lack of political strategies pause a hurdle for African countries to achieve fair deals from UNFCCC talks. Many speakers also cautioned that even if African countries have submitted their Intended Nationally Determined Contributions (INDCs) or post-2020 national climate action plans where governments will pledge their contribution to curbing down Green House Gas emissions with mitigation targets, they shouldn’t lose the sight of adaptation. Participants also highlighted the limiting capacity was highlighted as well as the need to develop and transfer technology and enhance adaptation finance. Below are the key quotes from the speakers and negotiators from the Africa climate conference on what is at stake and what needs to be done in Paris. “The price of inaction is as grave as the recklessness of continuing to pollute. What happens in Paris may as well seal the fate of millions of people. “Africa has great mechanisms but we have a high turnover of African ministers of environment. Continuity is important. Many come to the talks when they are only a few months in office. Many ministers are not conversant with the topics at hand and no matter how much we prepare them, negotiators will tell you we have been let down by our ministers. Ministers from developed countries come well abreast with the issues. We negotiate but somewhere along the line where decisions are taken and where strength matters in the political space we are let down. Lets hope in Paris we can do better.” – Seth Osafo, African Group of Negotiators and Former Legal Advisor UNFCCC. “We have hurdles in obtaining funds we bargain for. If I negotiate for Malawi, I cannot be the same person to develop project proposals for the government of Malawi. As negotiators we work with others in the country to ensure they have enough knowledge to hand in proposals. But many times we have seen the finance we negotiated for not duly followed up. We need capacity building because negotiating in one thing and actually claiming what we negotiate for is another. Also once we get the money from Paris we must make sure the money goes to the right actions on the ground to benefit the vulnerable people that are weathering the worst impacts of climate change. These funds should not be abused because the threat of climate change is real. We must demonstrate that on our own we are having actions to stem the impacts of climate change.” Evans Njewa a climate negotiator from Malawi and the lead negotiator for LDCs on Finance. “We in Liberia have made commitments to have 30% renewable energy by the year 2030 as part of our INDCs. It is not too different from what we already had in our national development plans. We are looking at centralized hydropower dams so that we can reduce number of people relying on fossil fuels in our country. On adaptation we have included the plans ongoing efforts, which were already captured NAPA (National Adaptation Programme of Action) particularly looking at coastal erosion, agriculture and early warning systems. Our constraints to achieving these plans of course we need money and then for us to ensure our climate plans work out we also need the technologies. Other countries are using green cars, we also want to use green cars but we don’t have the capacity and the technology to advance in current trends in green development. We are hoping for stronger finance commitments from developed countries and other partners out of Paris talks.” – Peter G. Mulbah, Liberia Green House Gas Mitigation Inventory expert who has worked on the country’s INDCs. In the end political leadership is key for Africa. I attended the CCDA-V as part of the International Institute for Environment and Development (IIED) Least Developed Countries Independent Expert Group. I think a lot of people the world over are holding their breath for some good, productive news on this incredibly pressing issue. Canadians have been living in virtual federal-government-imposed ideological prison for almost 10 years under the former government of Stephen Harper. Canada, on a per capita basis is near the top of the heap of the worlds worst polluters, owing in large measure to the Alberta oil sands. We have got to get this under control. To our credit, we have a elected a new Liberal government under Justin Trudeau. Time will tell if he embraces the default neo-liberal positions of so many leaders around the world, or if he really means business and puts restrictions back on heavy polluters, embraces the Kyoto protocol (which Harper immediately rejected upon being elected in 2005/6) and begins to set firm targets for CO2/carbon reductions and green technology. We are so far behind it’s pathetic. When one country, like Canada, can’t get it together, it’s little wonder that an entire continent of over 50 countries has serious issues. This is the accord to do something about. Let’s hope they realize that it’s the planet and not a bunch of fifedoms.